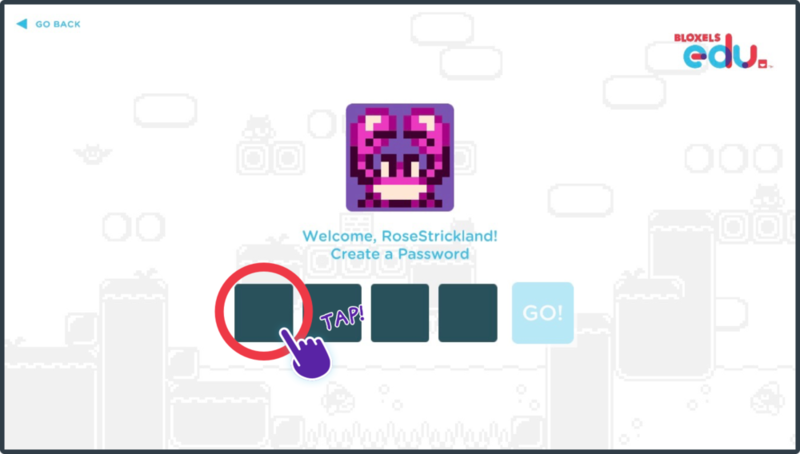 Once you have created a class and student accounts in the Hub, your students can start logging in to the Bloxels EDU app using the Class Code and creating or entering their own password. Open the Bloxels EDU App! Open the Bloxels EDU app and tap the ENTER CLASS CODE field. Type in the CLASS CODE that was generated or created for the Class in the Bloxels EDU Hub. Tap the USERNAME created for the Students Account. Tap the first BLOCK to open the keypad. Tap the NUMBERS on the keypad to create or enter a four digit password. Once you have entered the password, tap the GO! button. Remember this password! Students will enter this four digit password each time they login to their account in the Bloxels EDU app. If students forget their password you can RESET PASSWORD in the Hub and the student will be prompted to create a new password the next time they login. 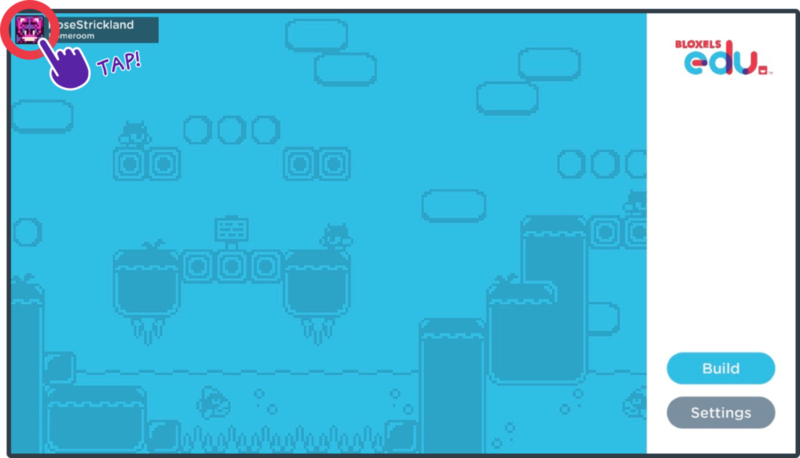 Getting Started on the Home Screen! Tap the AVATAR to open the Account Panel. 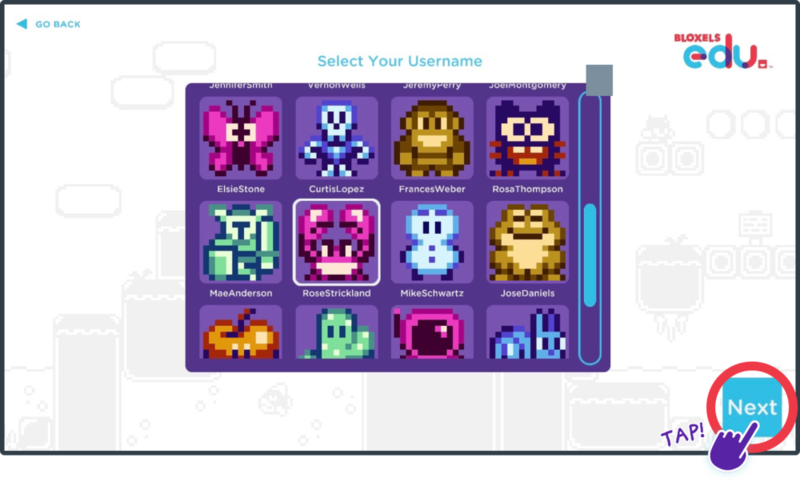 Tap the BUILD button to open the Game, Character, Art, and Background Builders. Tap the SETTINGS button to adjust the Music and SFX Volume. Tap the BADGES icon to view Badges. Tap the ENVELOPE icon to view Messages. Tap the DOOR icon to Log Out of the account. Tap the YES, GOODBYE button to log out of the account. 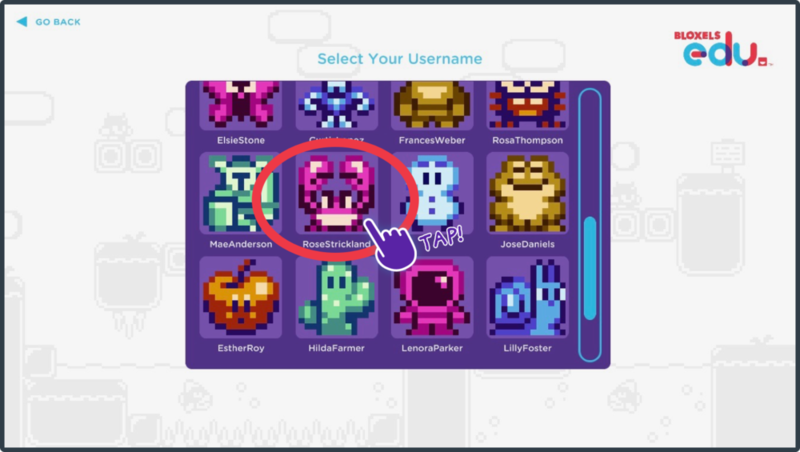 If you are still having trouble with Student Login or anything else in the Bloxels EDU app, please email or contact us using the SUPPORT link in your account drop down in the top navigation in the Hub!